2005 7point3 dw link on backwards? 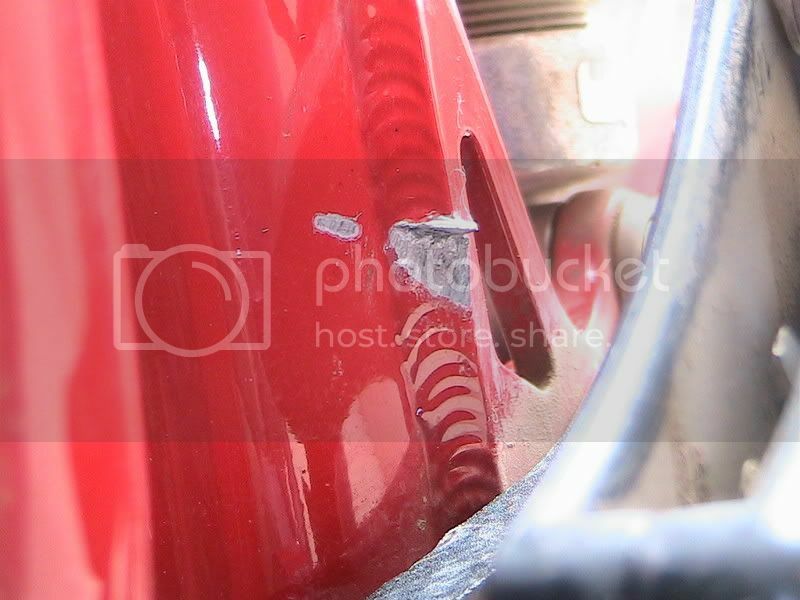 Discussion in 'Downhill & Freeride' started by unskilled, Apr 27, 2008.
so i just torn my frame down and i'm looking at the back of the seat tube and there is this notch out of the seat tube where the suspension has been hitting. From the looks of it the dw link on the bottom is on backwards? anyone hear of such a problem. again its an 2005 7point3. i'll take a pic whenever i get a chance. a few amountf of the 05 7.3 only got 5 inches of travel, because the hitting of the seatube. I have a 05 7.3 and thought it was something I did while racing. I called IH today and they are going to review a picture i sent and is going to ship out a new lower link. i had this problem on mine. 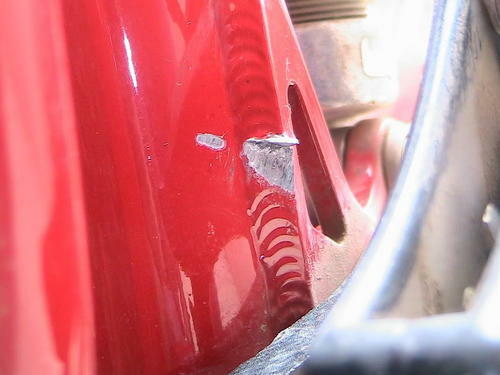 the original lower link would smash into the fin-like brace on the back of the seat tube. They mailed me a new one immediately... 2 years ago when i bought the bike. It looked different than the picture above. I had read that there was a bad batch of links when I originally bought the bike. IH promptly replaced it with the correct one.